A new Niagara boat tour allows passengers to soak up the beauty and history of the stunning Niagara River from the decks of a fully restored New Orleans-style paddle wheeler. 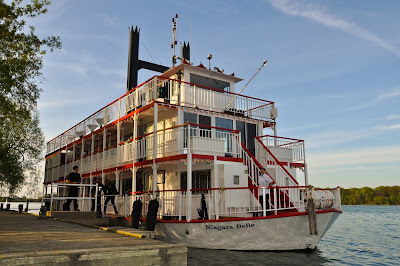 The Niagara Belle, which previously operated as a cruise boat in Toronto Harbour on Lake Ontario and in the Upper Niagara River, has been given a new lease on life by Niagara Sunset Cruises, a sister company to Whirlpool Jet Boat Tours of Niagara-on-the-Lake. Niagara Sunset Cruises bought the boat in 2013 and gave it a complete overhaul, including more than $1 million in renovations. 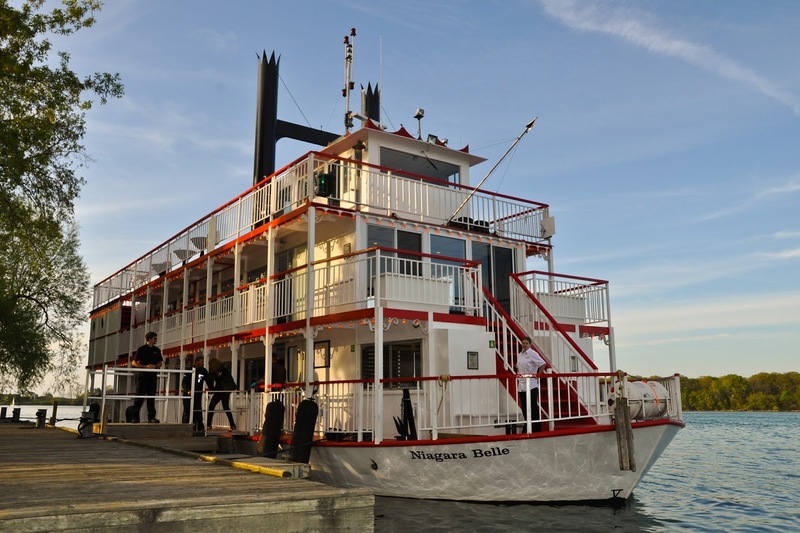 After running private charter trips last summer, the Niagara Belle is offering cruises for the general public for the first time ever this season. Departures are available to passengers on both sides of the Niagara River from docks in Niagara-on-the-Lake, Ont. and Lewiston, N.Y. Dinner cruises depart from both the Canadian and American docks, while lunch, wine tasting and a special Sunday Captain’s Cruise are offered from the Canadian side only. The Niagara Belle takes visitors on a leisurely cruise down the Lower Niagara River, through Queenston and Niagara-on-the-Lake, to the mouth of Lake Ontario. The ship can accommodate up to 80 people for a seated dinner and about 140 for cocktail cruises. · Dinner Cruise – Watch the sunset over Lake Ontario on a three-hour cruise that includes a buffet-style dinner prepared by the award winning culinary team, followed by post-dinner dancing to the professional sound system. · Lunch Cruise – Spend a relaxing afternoon on a two-hour sail of the Niagara River that includes a delicious buffet-style lunch. · Sunday Captain’s Cruise – Enjoy a two-hour afternoon ride featuring a unique surf and turf lunch of Beef Tenderloin and Lobster Tail available only on Sundays. · Wine Tasting Cruise – Sample some of the finest VQA wines, from rich reds to robust whites and world-famous ice wines, made on the shores of the Niagara River in the heart of Ontario’s wine country. This 90-minute cruise includes a wine tasting flight paired with a complimentary bar snack. 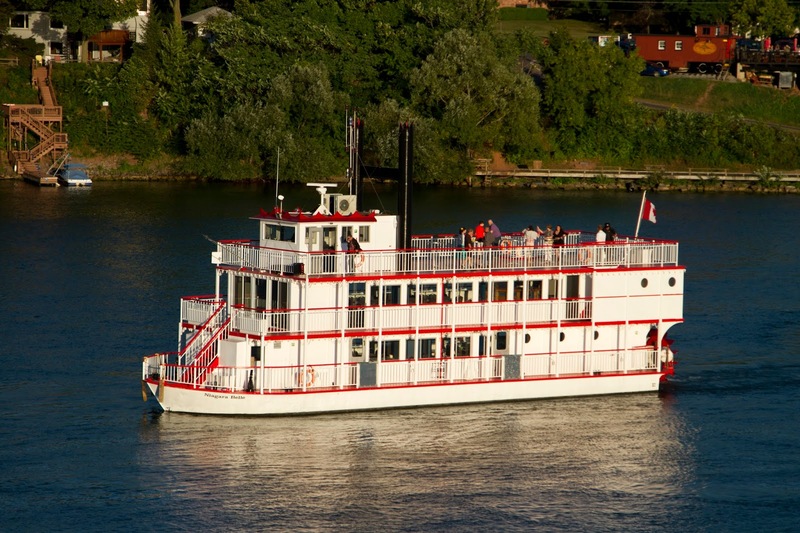 · Dinner Cruise – Enjoy the three spacious decks and take in the sunset and sites along the Niagara River as you enjoy a buffet-style dinner prepared fresh by Waterstreet Landing. Along with public cruises, Niagara Sunset Cruises also offers private and corporate charters on the Niagara Belle in Canada and the U.S., which can be booked in advance for events such as birthday parties, banquets, fundraisers, team-building retreats or VIP events. Thrill-seekers can also try the Whirlpool Jet Boat Tours, which provides the exhilaration of getting soaked by Class 5 whitewater while speeding along the Niagara River in custom-built jet boats. For more information on Niagara Sunset Cruises, visit www.niagarasunsetcruises.com, follow @NiagaraBelle on Twitter and Instagram and Like Niagara Sunset Cruises on Pinterst and Facebook. To learn about the Whirlpool Jet Boat Tours, visit www.whirlpooljet.com, follow @WhirlpoolJet on Twitter, Instagram and Pinterest and Like Whirlpool Jet Boat Tours on Facebook. I didn't know that there were now these cruises available on both sides of Niagra , although the Canadian side has more available. The net time we are near Niagra falls I would love to take one of,these cruises.